For my capstone project, I assigned Language Arts group activities for a 2 week period. I started the project with a pre-test. The unit of study was about family celebrations. I assigned the activity, but did not provide guidelines on how to work with others. The topic was interesting, so the students were able to do it, but only a couple of students were doing all of the work. Some groups were engaged and were able to do the task. The activities were performed in Spanish. Students who were above grade level were able to perform the task, but emergent students were lost. They were socializing instead of working. Throughout the study guidelines, lessons on collaboration, and scaffolding was provided each day. 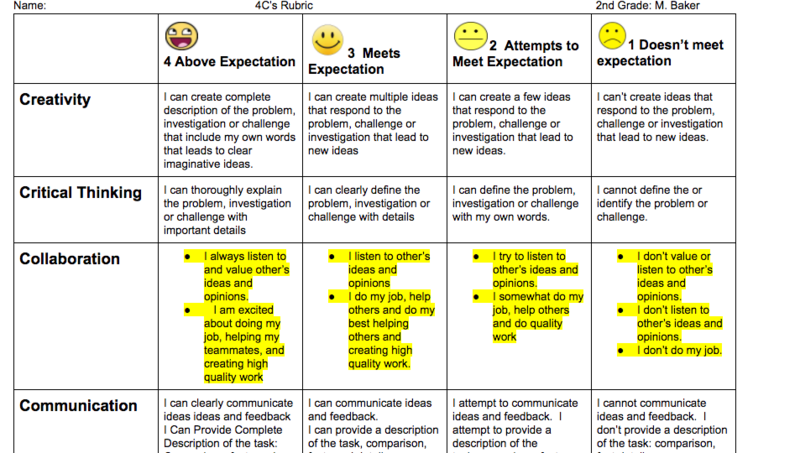 I introduced a rubric on the 4C's and explained what was expected. The assignment became easier as group expectations and collaboration lessons were specifically addressed. Each day, I added a new expectation to the "Collaboration" T-Graph, and went over the collaboration rubric. I decided to assign roles to each member of the group. This strategy worked well for me, but as we all know there are numerous ways to manage group work. I included some videos on different group work strategies other professionals use. During the study, students became familiar with the rubric and gave each other feedback on group work. At the end of the study, a group activity similar to the first one was assigned. This activity was their post-test. 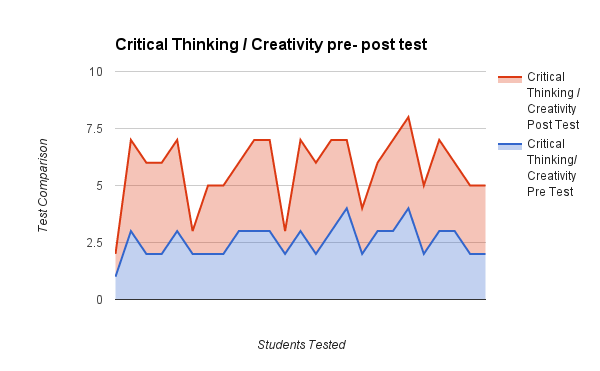 Students performed much better, and the difference in test results was significant. 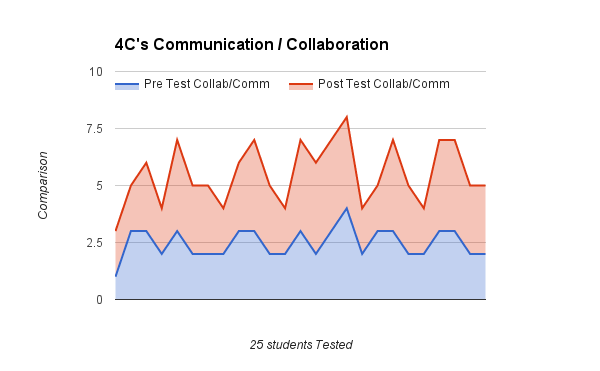 Graphs on pre and post tests on collaboration and the 4C's.